Today, as I was browsing The Glitter Guide (one of my fave go-to sites for inspiration), I came across the latest ‘Style At Home’ piece featuring Catherine Sheppard of The Life Styled. I instantly fell in love with her ultra feminine style and quirky accents (love the gold dinosaurs). 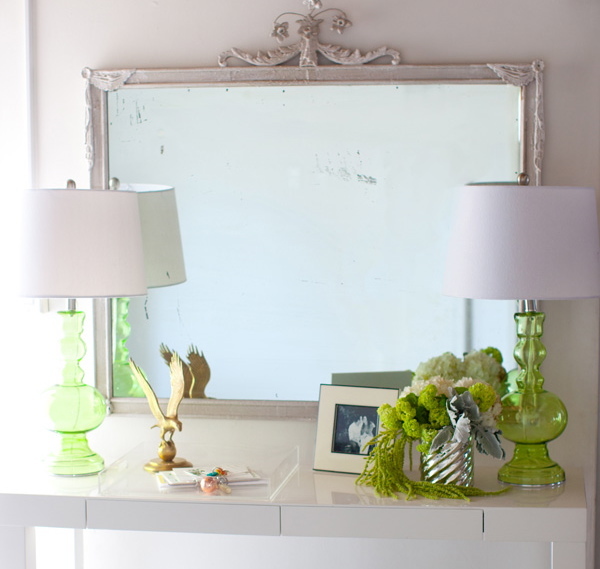 On of my favorite vignettes was this one where she accessorizes a console table with beautiful green accents. 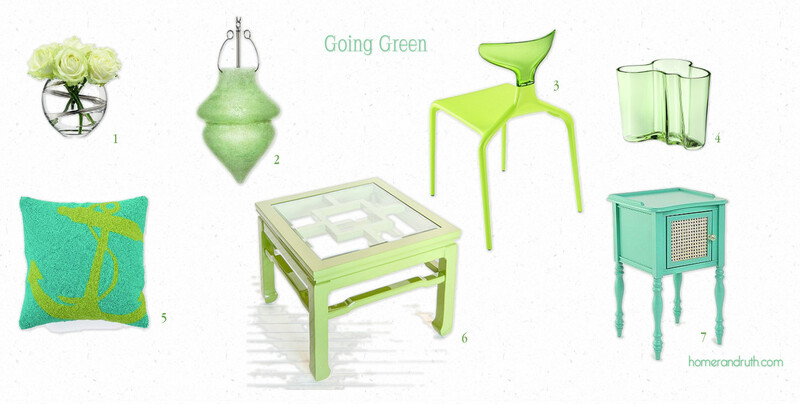 Are you looking to incorporate a bit of summer green into your decor? Any other color you’re obsessing over right now?